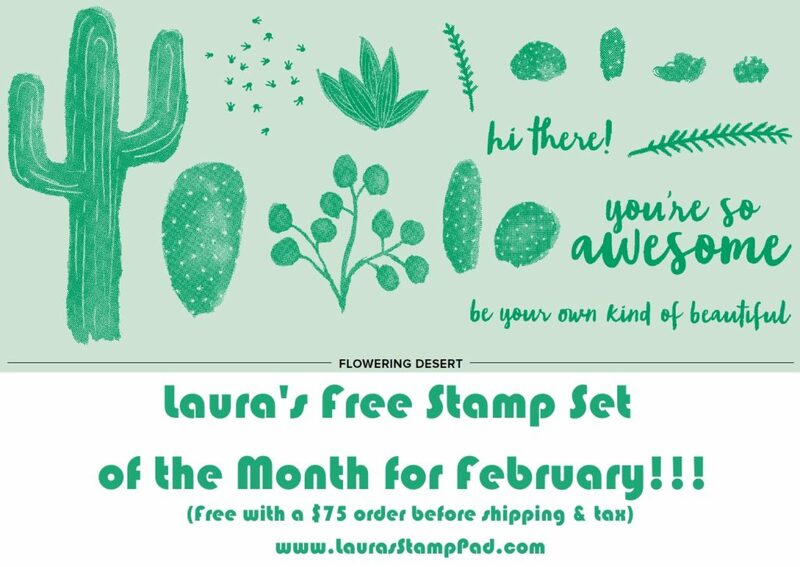 February Free Stamp Set of the Month!!! Happy Monday!!! It’s February so of course that means a new Free Stamp Set! The February Free Stamp Set of the Month is……. …the Flowering Dessert Stamp Set from the Occasions Mini Catalog! There are beautiful images as well as greetings. My favorite greeting is the “be your own kind of beautiful.” Who cares if someone else doesn’t think that’s the cool thing or pretty color. You do you!!! Stay true to what is in your heart. Here’s a little side story to that and inside about me! I purchased some Krispy Kreme Donuts from my Niece for a fundraiser. Anyone else loves these as much as me??? Let me know in the comments below! Other donuts, I can pass on but a Krispy Kreme…..Mmmmm! Anyway, she needed to be paid in advance and I wasn’t going to be in town before the date of delivery. I asked her to ask her Ma (my mom) or her dad (my brother) and I would pay them back! She got it from her Dad! So donut day arrived and I was in town to pick them up those little heavenly O’s. I went to put the money in my brother’s truck but wanted to leave a little note as well. I went with a little donut pun! The note went like this….Donut you know you are loved! Thanks for paying for my donuts in advance! I just know my brother probably rolled his eyes when he read it and I don’t care. I hope you enjoyed my little story and I hope you are excited about the Free Stamp Set of the Month for February! Click here to start shopping so you can earn this set for FREE as well as FREE Sale-A-Bration items all month long! « I Am A Beautiful Butterfly!! !